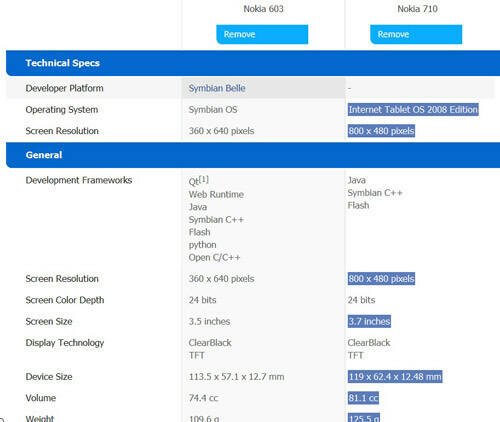 On a page that has since been pulled down from Nokia’s developer page, a device known only as the 710 could be in the making that features a 1.4GHz processor and Windows Phone Mango despite there being no mention of it. The listing had the operating system as the “Internet Tablet OS 2008 Edition.” Odds are that was just a place holder for the OS that will really be featured on the unknown device. Whatever the handset is it is going to have it has a 3.7-inch TFT display with a resolution of 480x800 that is common amongst current Windows Phone offerings. Powering this device is going to be a 1.4GHz processor and 512MB of RAM. On the back of the mystery smartphone is a 5 megapixel camera that can record video in 720p HD. It also appears to have 8GB of storage. Another little tidbit that is interesting about this mystery item is that the browser is undisclosed. That is just more secrecy behind what is perhaps another upcoming Windows Phone from the Finnish manufacturer. It also will have a MicroSIM which is something that was never attached to Nokia devices of any platform in the past. There is no other information to be passed along about the enigma that is the Nokia 710 at this time. 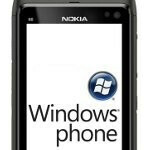 Hopefully we will know more about this handset when Nokia unveils their other Windows Phone devices such as the Nokia Sea Ray. Tell us what you think. "It also will have a MicroSIM which is something that was never attached to Nokia devices of any platform in the past" Nokia N9 has one. Sounds Amazing!! but why 5Mpx and Galaxy NEXUS too 5Mpx(idiot GOOGLE!! & iPhone4S just 8Mpx) We've already had 12Mpx from Nokia & Sony Ericsson.